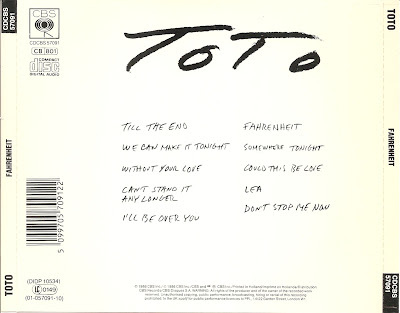 Toto is an American rock band formed in Los Angeles in 1977. 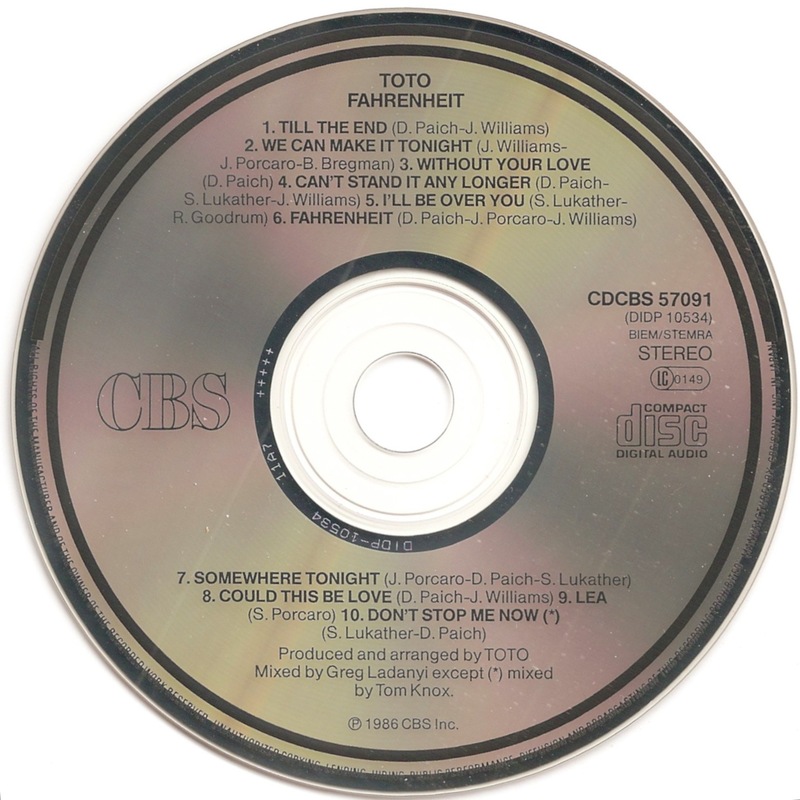 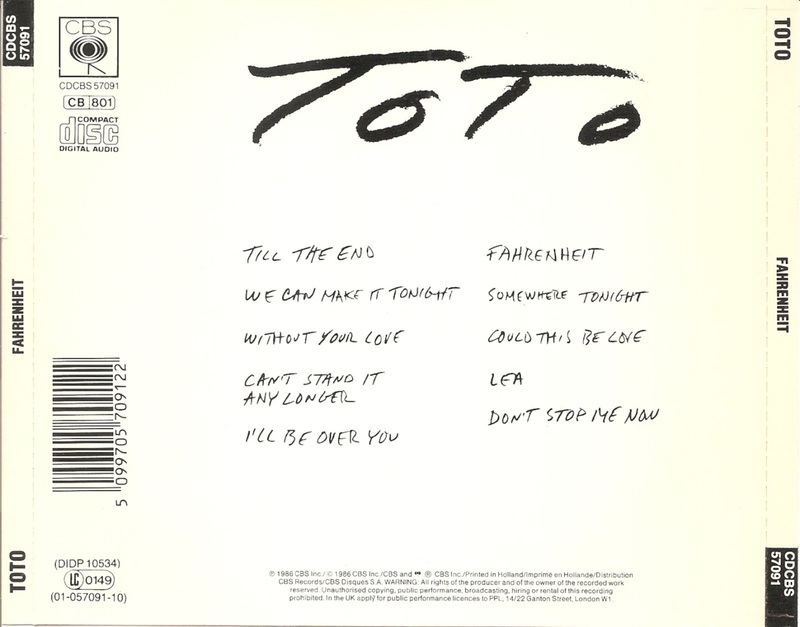 Toto is known for a musical style that combines elements of pop, rock, soul, funk, progressive rock, hard rock, R&B and jazz. 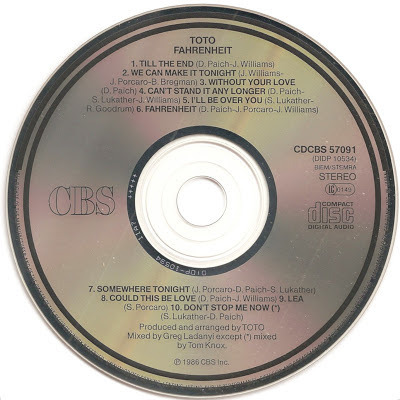 They are regularly associated with the soft rock genre. 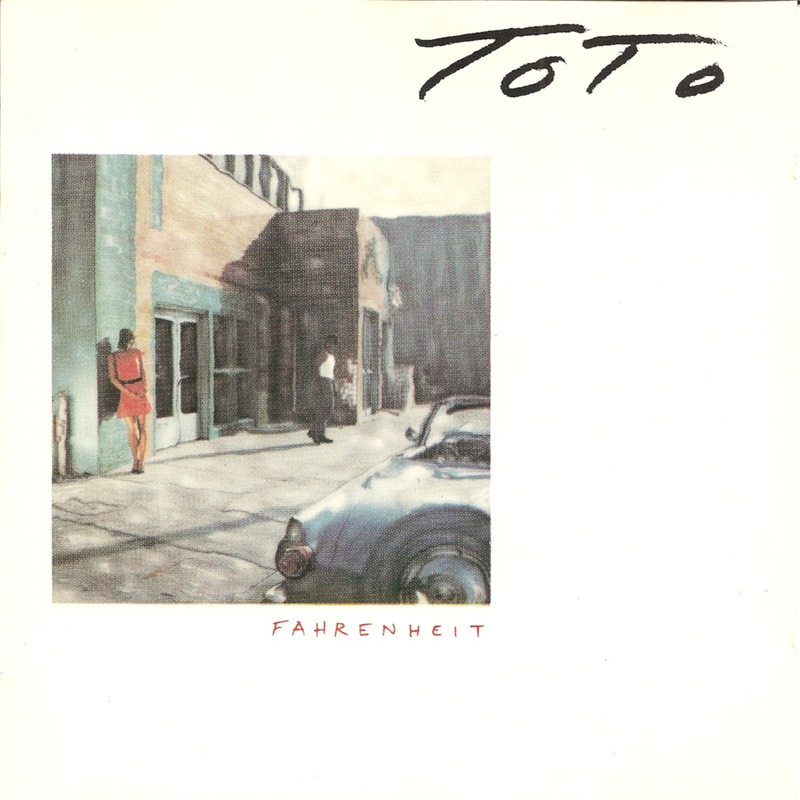 Fahrenheit is the sixth studio album by Toto, released in 1986.